To operate a trucking company in Iowa successfully, it’s crucial to adhere to local Department of Transportation (DOT) and Federal Motor Carrier Safety Administration (FMCSA) regulations. If you’re looking for a way to relieve the headaches involved in managing and maintaining compliance, you’ve come to the right place. US Compliance Services offers comprehensive solutions for staying current with applicable laws and regulations, filing the necessary forms and paperwork, and qualifying and documenting your drivers efficiently. As a full-service provider of trucking compliance consultation services in Iowa, we deliver everything you need to ensure you’re following the correct procedures to manage risks and boost productivity. We work with trucking companies and contractors of all sizes and industries, delivering customized services and support based on your applications and the composition of your fleet. Say goodbye to the stress of dealing with trucking compliance, so you can devote your time and effort toward keeping your business moving forward. Trucking company owners and supervisors understand that operating efficiently is key to remaining productive and competitive. On top of acquiring and retaining customers, purchasing, logistics and many other responsibilities, staying current with industry trends and changing regulations can feel like a full-time job. From assistance with filling out and filing paperwork to finding qualified drivers and onboarding employees, our trucking compliance solutions are customizable and scalable to your needs. Our experienced team is focused on eliminating the confusion around Iowa trucking compliance. We’ll help you reduce unplanned for costs and save you time and worry by providing exceptional industry knowledge and expertise navigating the complexities of DOT and FMCSA regulations. From an initial, free trucking compliance consultation through ongoing fleet monitoring and management, we’ll be by your side with quality services and support every step of the way. 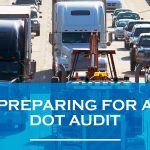 DOT Consulting Services: The process of staying up-to-date with DOT applications, registrations, renewals and documentation involves many details that must be followed to avert fines, penalties and inefficiencies. US Compliance Services offers complete DOT registration and application assistance from a single, reliable source. From DOT and MC decals to applications for MC numbers and reinstatement of numbers with your operating authority, let us take the weight of DOT compliance off your shoulders. FMCSA Services: If you’re a trucking company transporting hazardous materials, we can make sure you have the required MCS-90 endorsement and meet guidelines mandated by the Federal Motor Carrier Safety Administration. Our FMCSA services ensure you demonstrate fiscal responsibility and have the proper insurance to protect your company in the event of an accident or incident that causes loss of life or assets. Whether you want to renew or reinstate an expired MCS-90 or are wondering if your company needs an endorsement, our team will provide the answers and assistance you require. DOT Driver Qualification Management: Are you following DOT guidelines for documenting the skills, experience and driving records of your employees? Our Iowa trucking compliance assistance services include everything relating to preparing, submitting and managing files, so you have the updated paperwork you need in an organized and accessible system. We’ll help get your drivers on the road and working faster and keep them in compliance to maximize uptime and productivity. IFTA Compliance Assistance: International Fuel Tax Agreement (IFTA) guidelines apply to a broad range of trucking companies operating in the contiguous 48 U.S. states. As experts in IFTA code, we’ll identify whether you meet the criteria for filing and establish a program that keeps you on schedule and in compliance. You gain the peace of mind your business is on top of the preparation and filing of all relevant tax forms to avoid fines and having to deal with red tape. ELD and eLOG Compliance: US Compliance Services is here to help get you up to speed with the new electronic logging devices (ELDs) soon-to-be mandated in most regions. Also known as eLogs, an ELD provides a more accurate and accessible filing system for keeping track of Hours of Service (HOS) than manual paper log books. Our professional team looks after everything from registering new units to combining paper and electronic data to ensure a smooth transition. 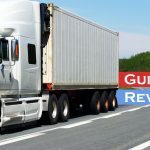 At US Compliance Services, we help new trucking companies get started on the right foot and help experienced businesses improve efficiency and streamline their operations. No matter what stage you’re at, or the challenges you face, our knowledgeable representatives are here to provide the guidance and support to keep your fleet running smoothly and in conformity with local DOT and FMCSA rules and regulations. When you choose us for Iowa trucking compliance assistance services, you gain a partner capable of keeping your papers and registration forms in order and staying on top of ever-changing industry standards. You benefit from safer drivers, trucks and cargo while delivering superior service to win the trust and satisfaction of your customers. Less time, labor and resources devoted to compliance issues so you can concentrate on other critical aspects of your business. Pinpoint accuracy organizing files, completing paperwork, sending in renewal DOT forms and documenting driver qualifications to eliminate mistakes resulting in fines and lawsuits. A company that believes in honesty and transparency, so you know your business is in good hands and making informed decisions that save time and money. Online resources offering extensive DOT information and reliable trucking company management advice. Free, downloadable Driver Qualification File providing a commercial driver application and complete checklist for required paperwork and documentation. Don’t leave the future of your trucking company or contracting business to chance. Make the smart decision to lock down compliance by getting in touch with us today. Give us a call or submit our online contact form to request more information and a free consultation. Our professional representatives will provide a thorough trucking compliance consultation and deliver cost-effective solutions that completely solve your problems.